Credit: NASA/PACE. Download this image (JPG, 563 KB). 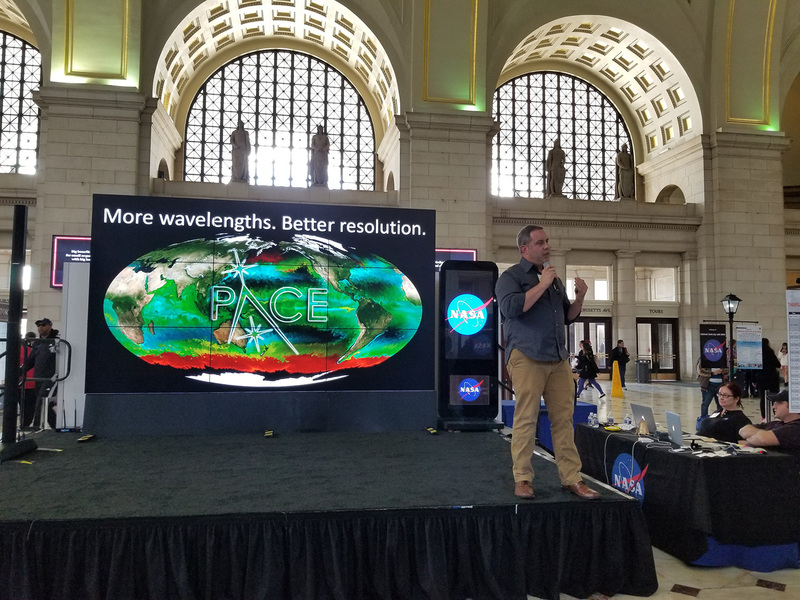 [19-Apr-18] PACE Project Scientist Dr. Jeremy Werdell concludes a hyperwall talk that he presented for a public audience at the NASA Earth Day event in Washington, D.C. The Earth Day event featured hyperwall presentations from Earth Science missions at NASA, including the PACE mission that is currently in development.